Please note that this post is from 2007. Evaluate with care and in light of later events. 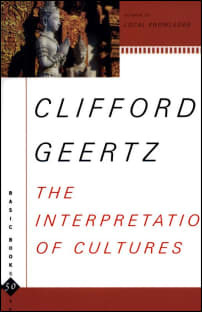 An individual is bound up in a series of symbolic or mythic representations — “man is an animal suspended in webs of significance he himself has spun” (Clifford Geertz, Interpretation of Cultures) — which serve to generate and maintain meaning. Together, these symbols and myths provide the structure for our world-views. They constitute a cohesive narrative of existence, a kind mental map (or text) which functions, in much the same way as a geographic map, as a guide to the terrain of life. From them we generate ideas, interact with people, deal with new situations, and perform other activities we would be unable to do without a framework in which to make decisions. But inevitably, the categorization which is involved in the process of map-formation leaves distortions or even blank spaces in the map, giant regions of unexplored or inaccurate territory. — From my thesis paper: But That Speaking Makes It So.